If The Law Is So Clear About What A Collection Agency Can’t Do, Then Why Do They So Frequently Break The Rules? That is an excellent question. But the answer may surprise you. To begin with, the area of law that regulates what a debt collector can and cannot do when they attempt to collect on a debt is the Fair Debt Collection Practices Act (FDCPA). This is a federal statute that makes it very clear what is a violation of someone’s consumer rights. In fact the language of this law is so clear on its face that it is difficult to see how anyone could ‘accidently’ break the rules found within it. But break the rules they do (with frequency). So why is this the case? Well, most people have never even heard of the FDCPA (chances are, this is the first time you have ever read about it). And even if people know that there is probably some kind of protective regulation out there making some the tactics used by collectors unlawful, most individuals do not pursue any sort of recourse. They believe that it will be too time consuming, or costly, or that there won’t be a satisfactory outcome anyway. But it doesn’t have to be like this. You have rights, and you have every right to exercise them. For instance, if a collector leaves a voice message on your phone, but does not properly identify themselves as a debt collector, they have violated your rights. You now have rock-solid evidence (the recorded message) of this fact. And now they can be properly sued for their conduct. The damages to you is usually about $1,000, and the collector has to pay your attorney fees (this means no upfront cost to you). 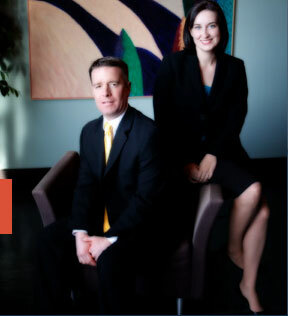 The affordable St. Louis bankruptcy attorneys at Brinkman & Alter, LLC have been protecting people’s rights against bad debt collectors for years. In addition, we can take care of the rest of your debt by filing a St. Louis Chapter 7 bankruptcy or a St. Louis Chapter 13 bankruptcy. Our initial consultation is free of charge, so call today!